Below are clients who left reviews. If you have a minute, we would love to hear from you too. Please leave your own review. By clicking on add review button below. I want to thank you for the excellent work you have done on my teeth. As you may recall, I was initially referred to you by my dentist, Dr. Larry Pace, in Dallas, Texas. Dr. Pace is highly regarded and did a great job maintaining my teeth when I lived in Dallas. Upon my initial visit, I was impressed with your courteous staff and the equipment used in your office. Your review of my teeth condition was thorough and you explained why I needed some teeth replaced with implants while others only needed crowns. You created a treatment plan and reviewed it to my complete satisfaction. My treatment plan was extensive, requiring several visits and time between visits to complete. I continued to be impressed by your attention to detail and how nothing but perfection was acceptable. This was especially exhibited with my front crowns. Each visit was very relaxed and your constant attention to my pain or needs was a great comfort. With the aid of your very professional staff, my experiences at your office were easy and stress-free. After the work was completed, I was VERY satisfied with the results! 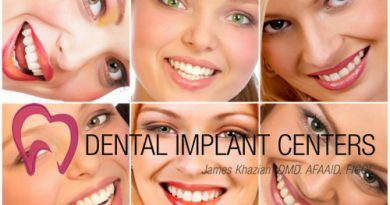 The implants perform extremely well compared to regular teeth and “feel” like regular teeth too. Not only do I have a beautiful smile but I receive regular complements on it as well! I was so happy with your work that my wife now uses your practice too. Your work is outstanding and I thank you again for your professionalism, attention to detail and superb results.